The articles deal with aspects of the complex interaction between Western and traditional Japanese music, at topic that was long neglected, because researches tended to specialize in one or the other. 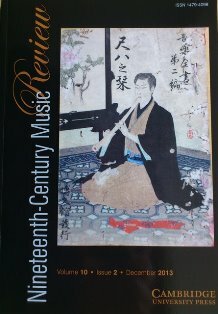 If you are interested in music in Japan or in Japanese culture in general, please take a look at this publication! See also also Cambridge University Press’ blogpost about the Japan issue.